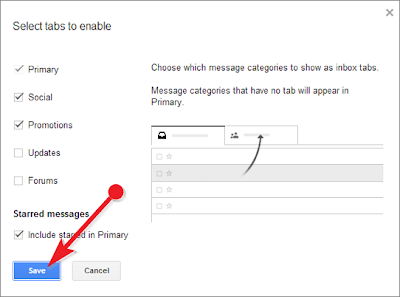 Google recently introduced new inbox style for Gmail, it automatically groups all your email messages into five different of tabs such as Primary, Social, Promotions, Updates and Forums. So you can easily identify certain categories of emails in specif tabs. That's all you have successfully enabled new Gmail inbox. 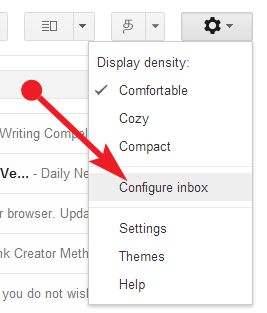 In case if you don't like new Gmail inbox, you can disable it anytime by clicking on the gear icon - Configure inbox .